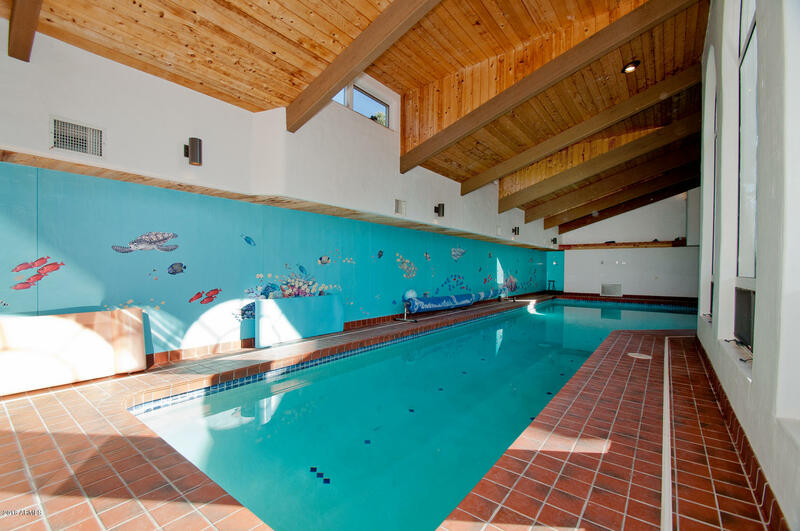 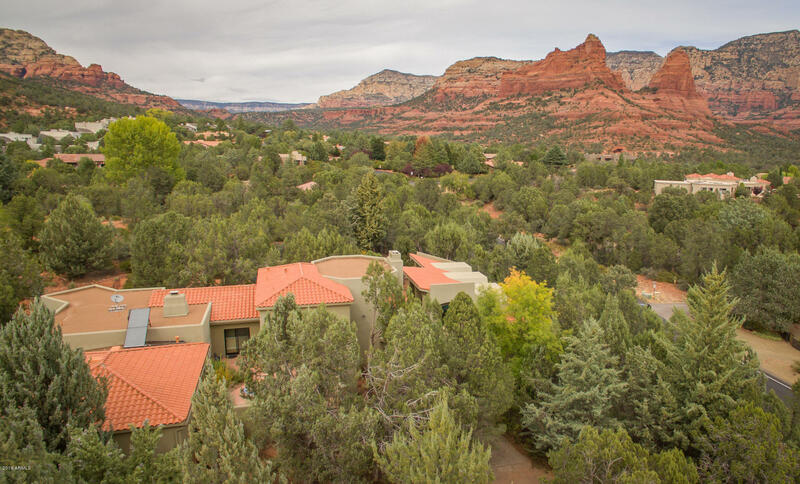 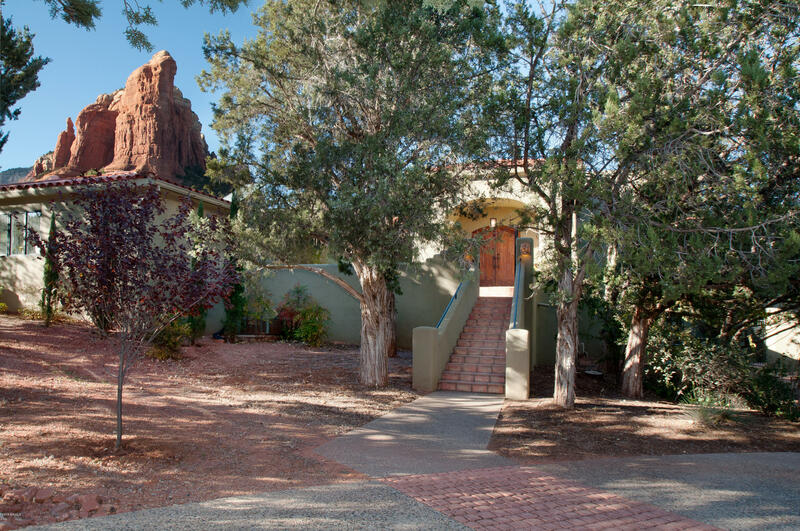 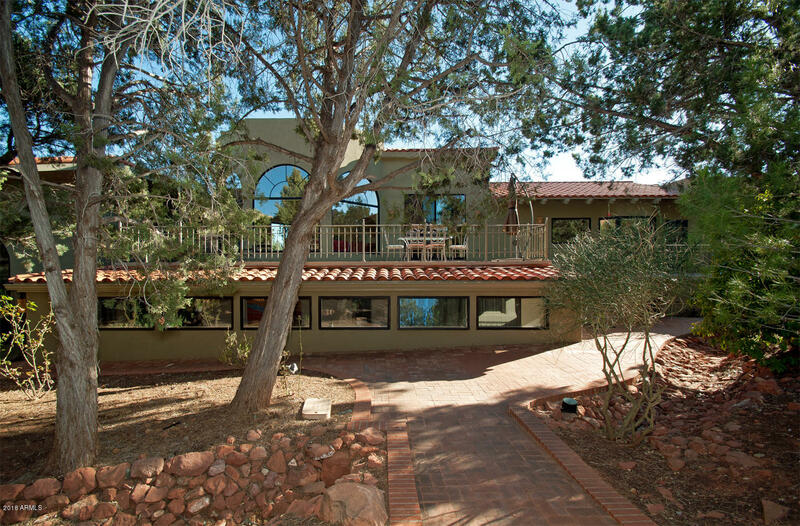 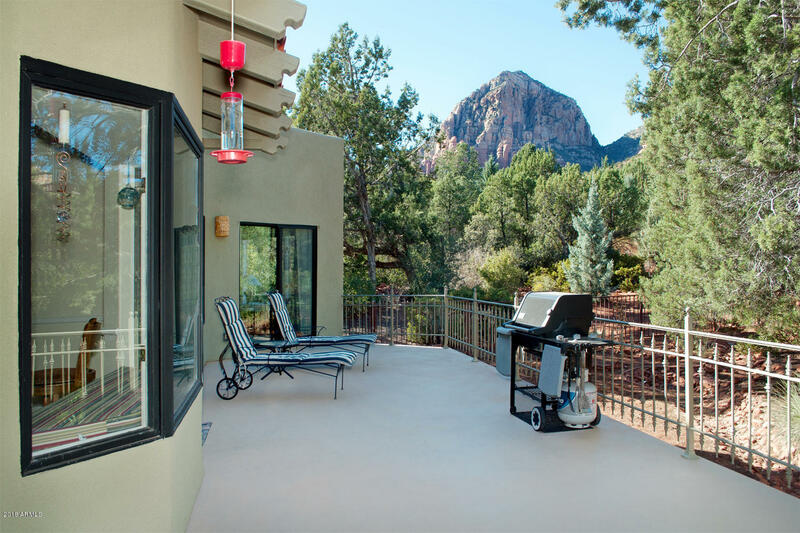 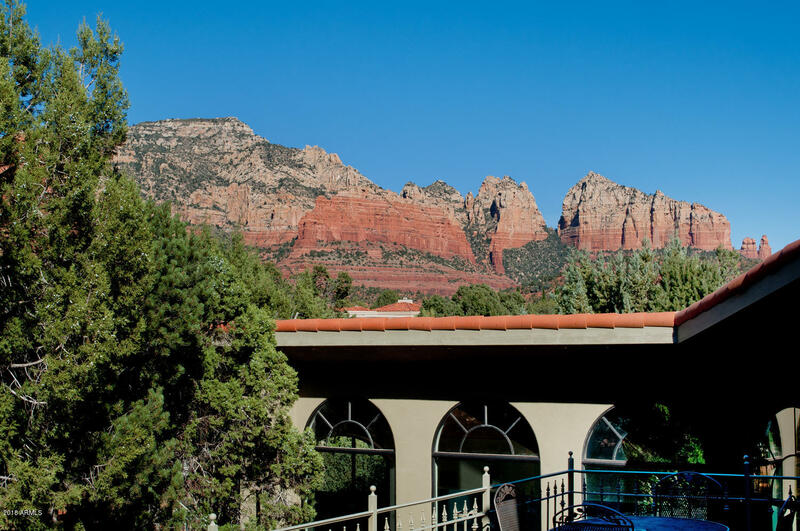 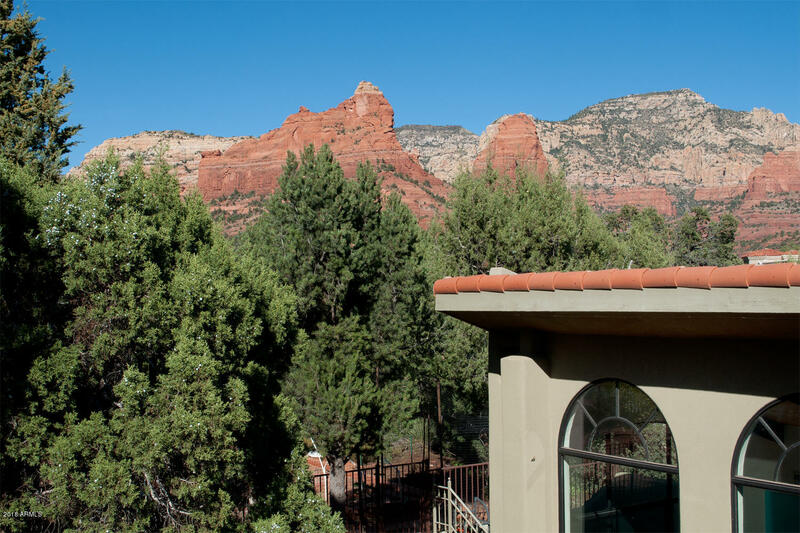 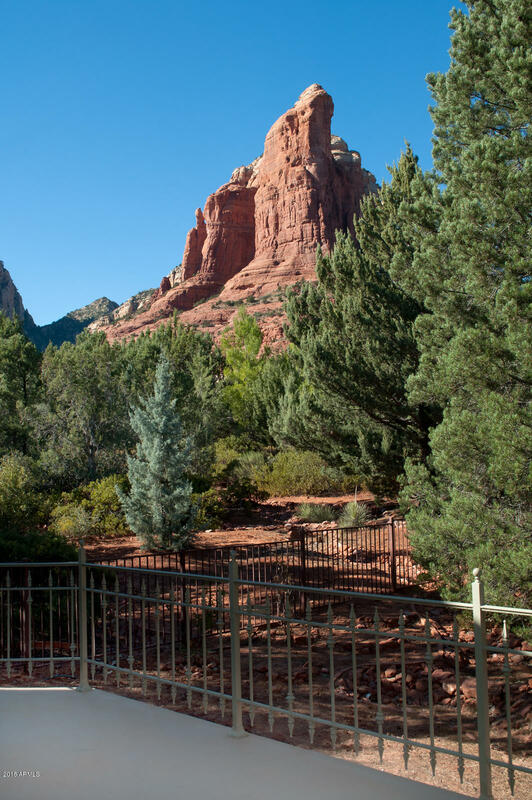 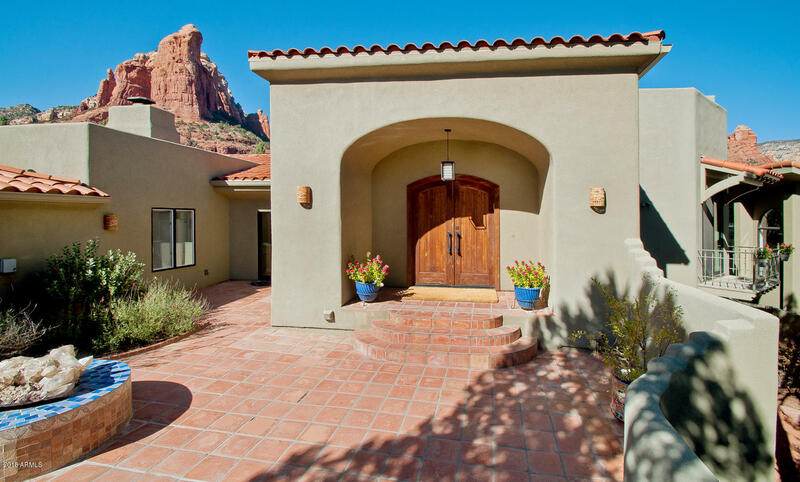 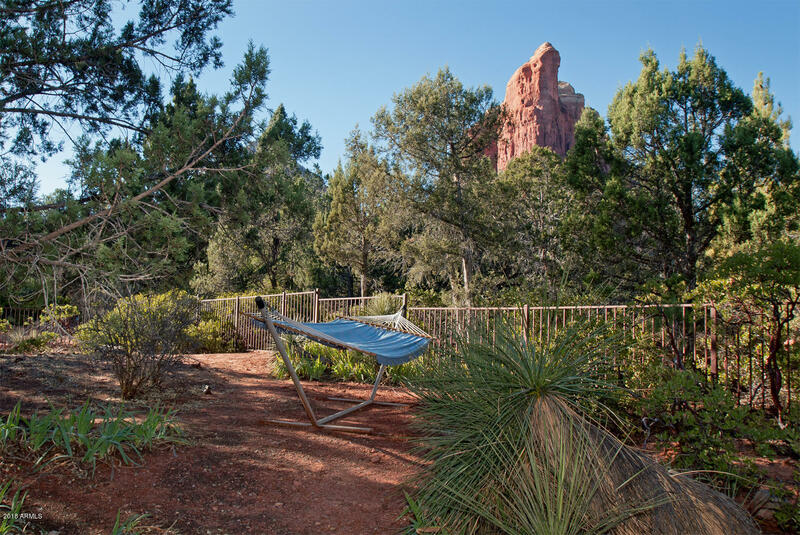 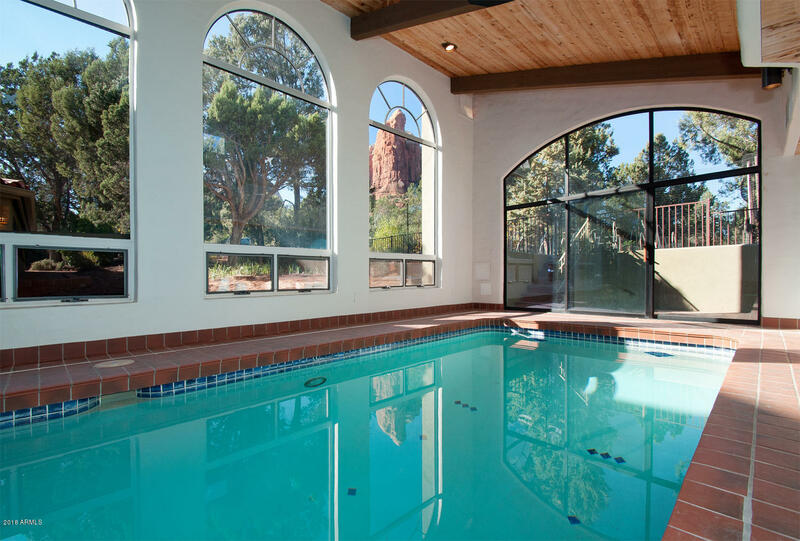 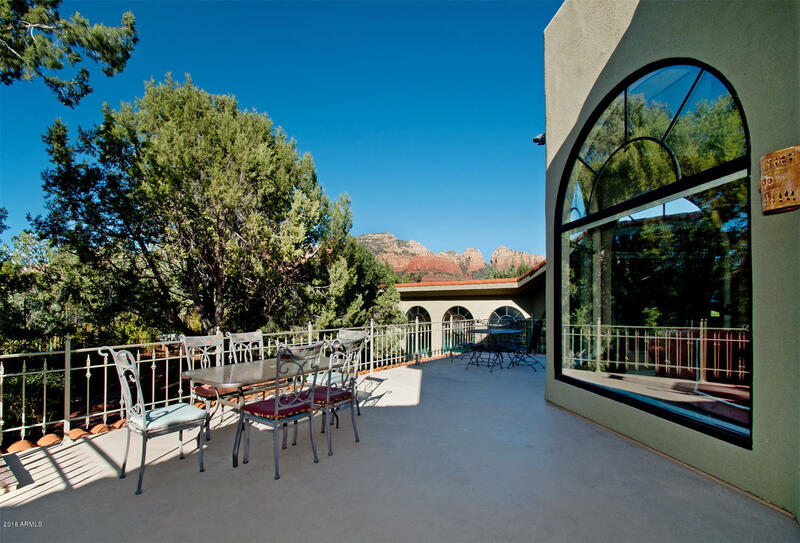 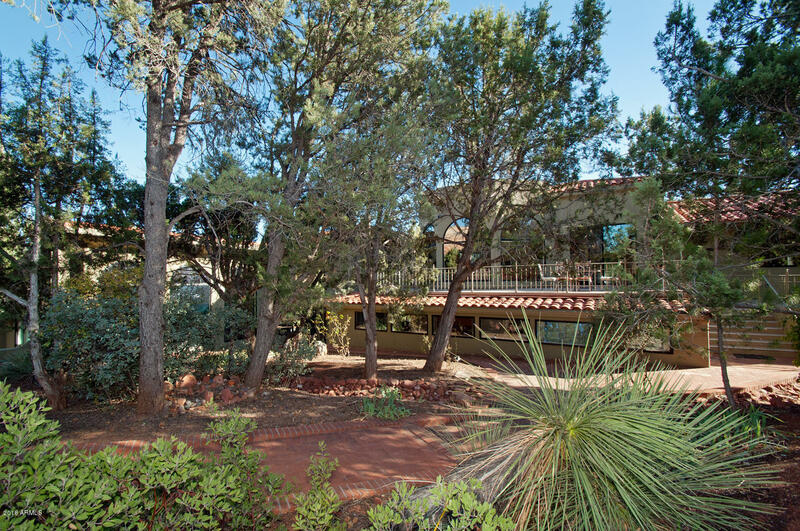 At the foot of Standing Eagle Rock (aka Coffee Pot Rock), this luxurious sanctuary offers both privacy and stunning red rock views. 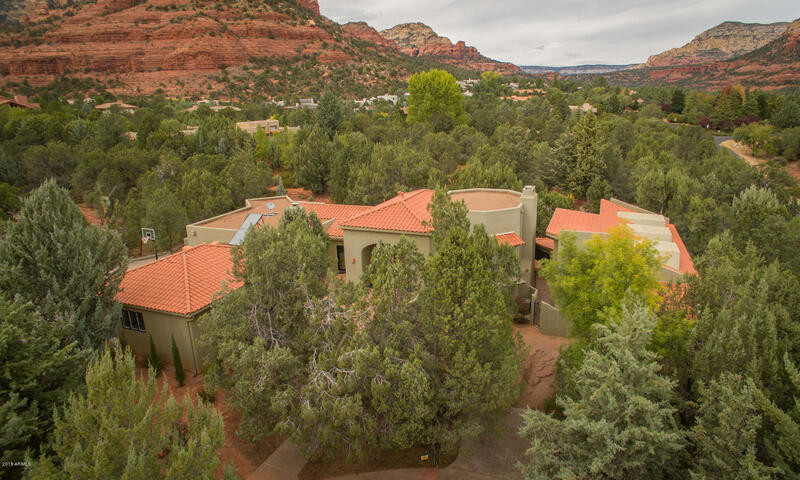 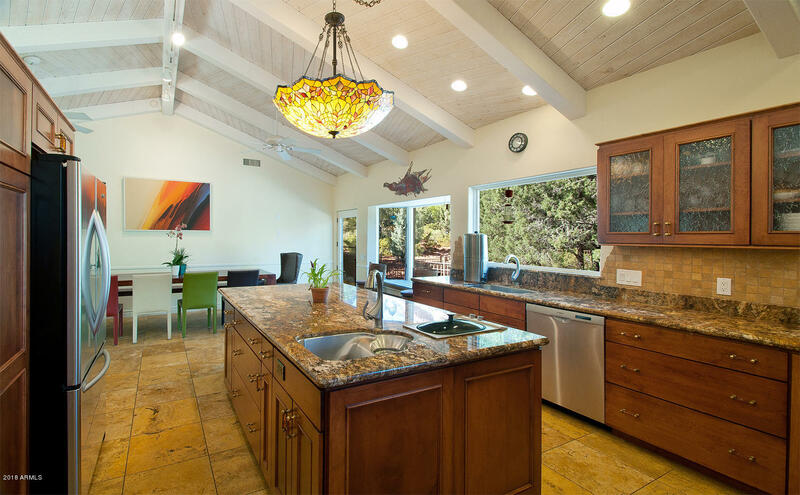 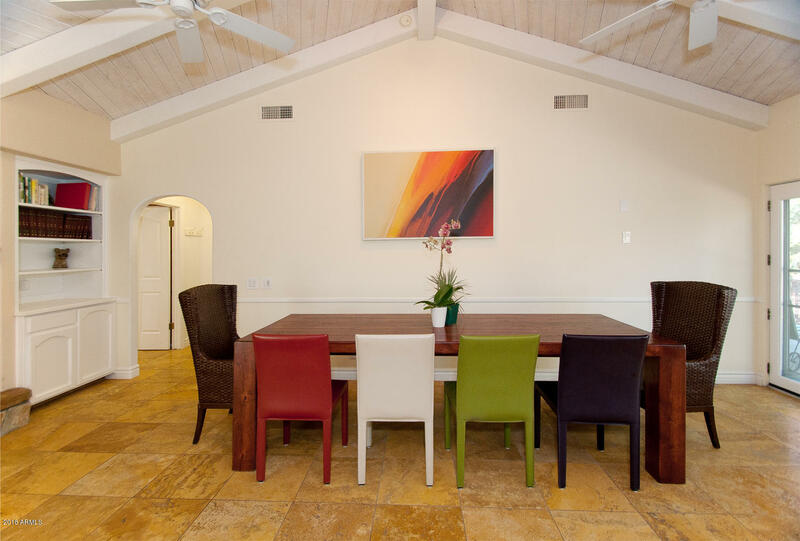 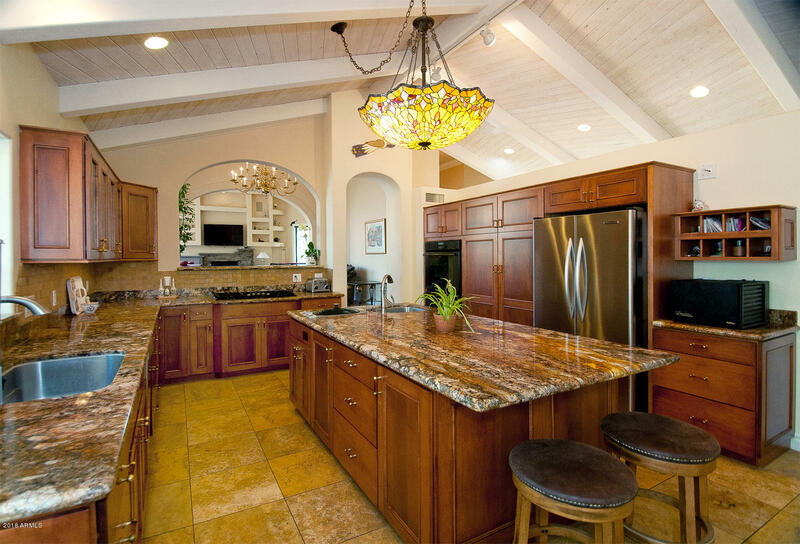 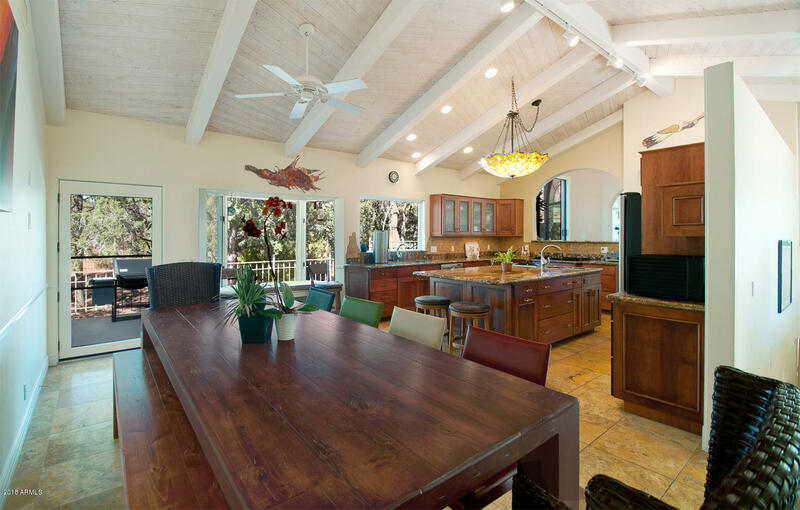 Situated on a generous and verdant .87 acre lot with an abundance of shade & fruit trees and an impressive organic garden, this lovely home gives you the feeling of serenity, elegance, and seclusion. 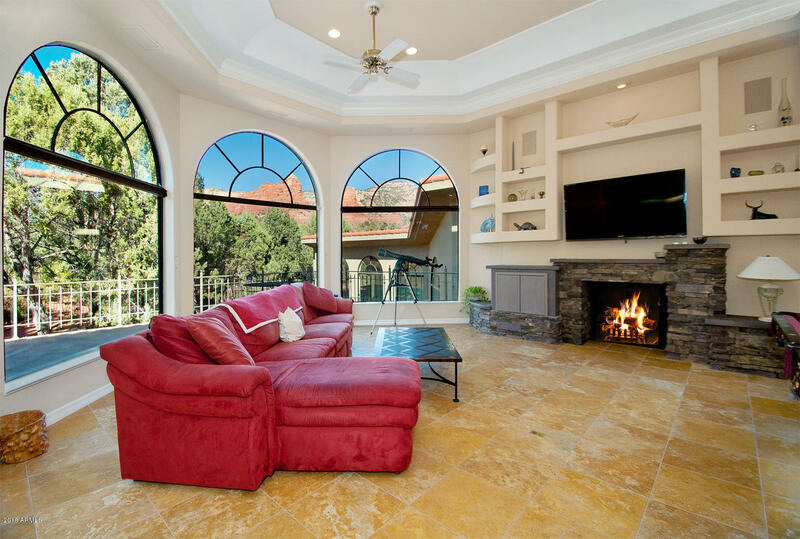 From inside, no other houses are visible. 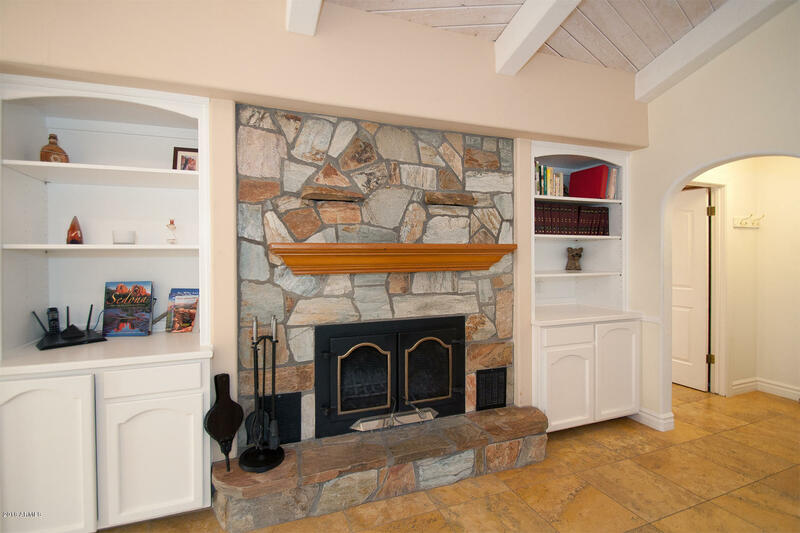 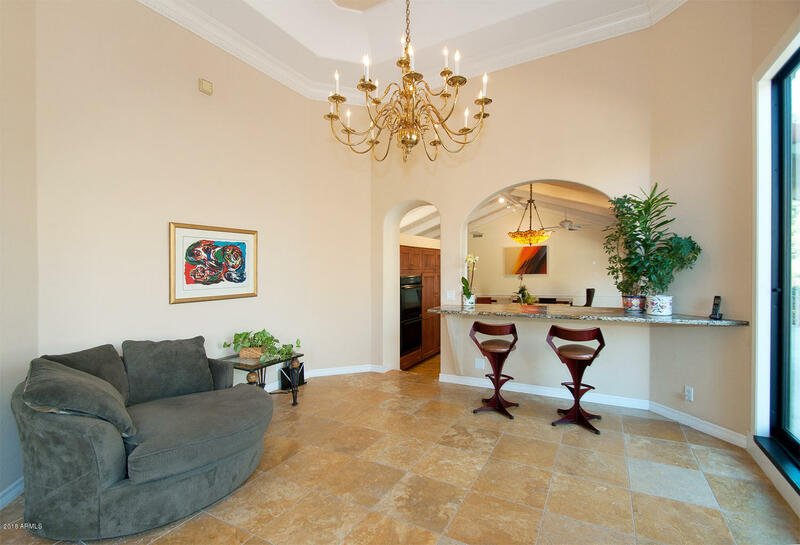 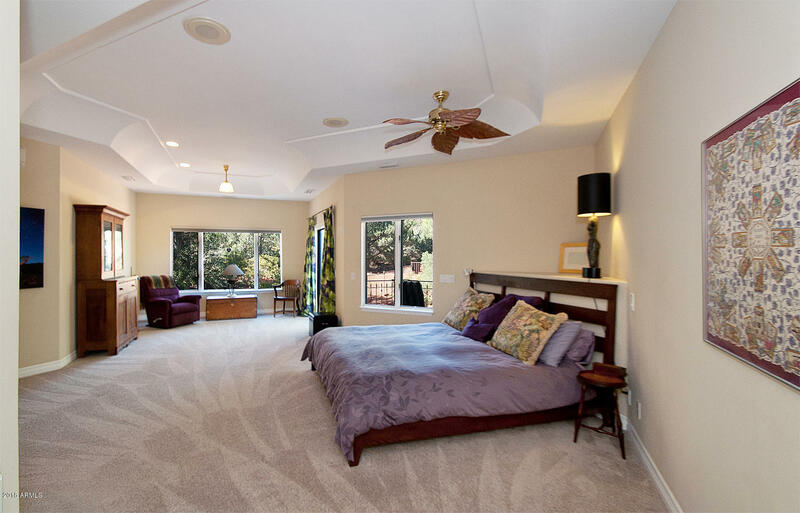 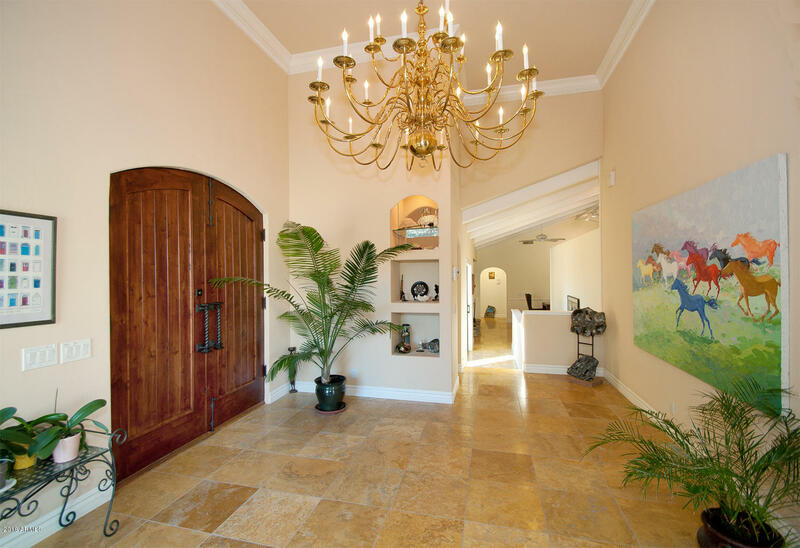 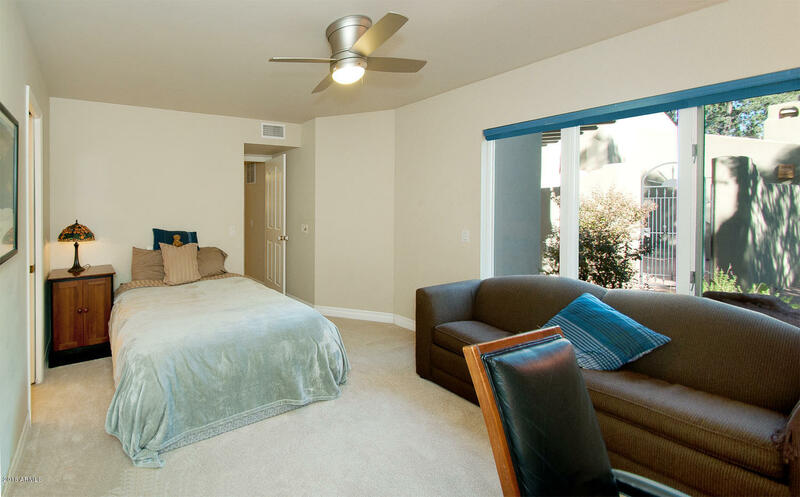 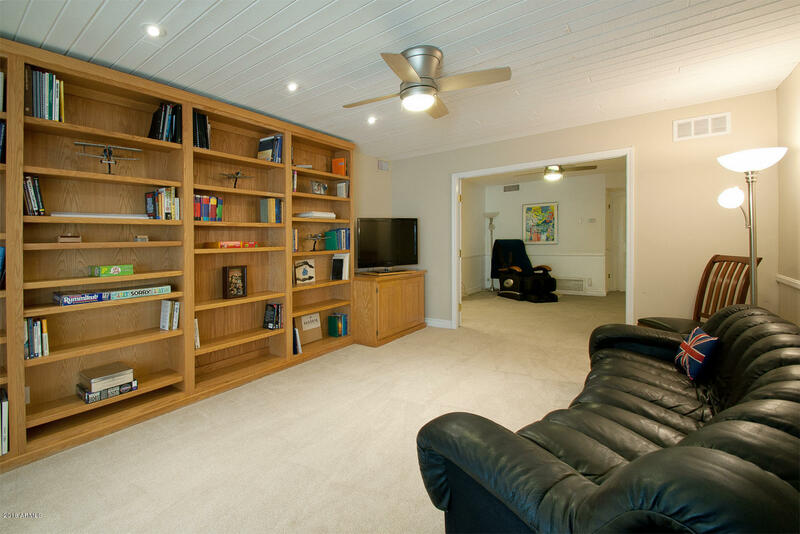 With the enchanting master suite, gourmet chefs kitchen, exquisite dining and living rooms, bathed in natural light, wonderfully upgraded garage, all on one level, you can leave the stairs and spacious lower living area to your family and guests.